So everyone has heard that my nephew Colt Shaffer is fighting for his life at this very moment. Our tuff stuff baby boy is only 6 months old, my brother and sister n law need all the help and prayers that they can get at this time from anyone able to help. Thank you all.! This was posted to Facebook by Colt's mommy. We no longer ask for prayers for us we now ask for prayers that there is a match so that when we let go my boy can be a hero and save another baby or babies. That's all I have to say right now. This is an update on my nephew from his mommy and daddy. Update: There is still no brain activity. Stats were very rocky yesterday however they stayed stable through the night. While he is stable the doctors want to do a test that requires him to go down the hall and down 4 floors. 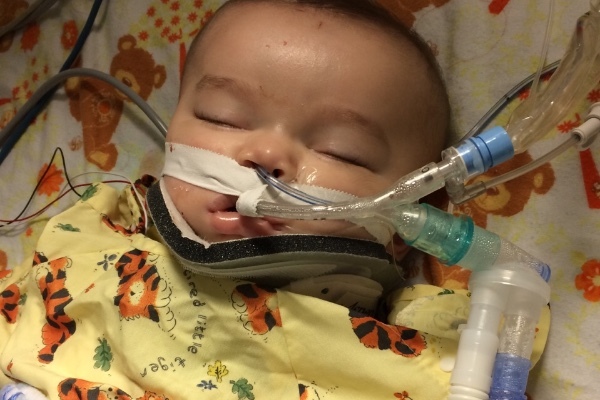 There is a lot of risk with this bc his breathing tube is maxed out. With movement his stats become unsteady so we have some thinking to do. EVERYONE PLEASE PRAY FOR MY FAMILY. Prayers for all of you.:. Prayers Tiff stuff! Keep fighting!! Our Hearts go out to this sweet family. We hated to see what happened but we were glad to be there to help and to see the family at the hospital. You all are in our thoughts and prayers and you all are still on the prayer chains here in Owensboro.